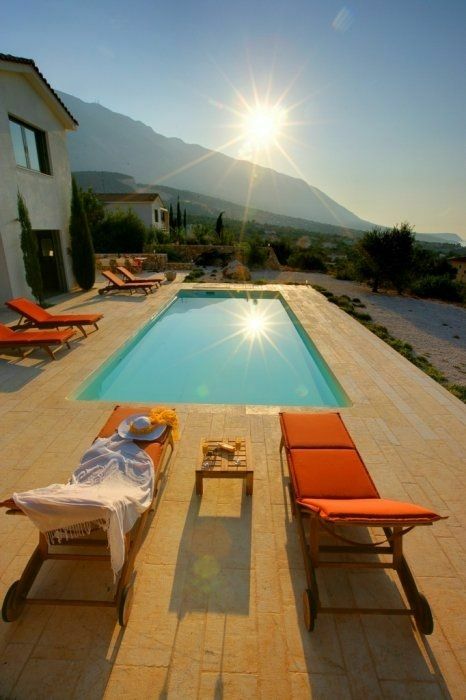 Complex of 11 luxurious villas for rent with private swimming pools and BBQ.The complex was completed in 2009. 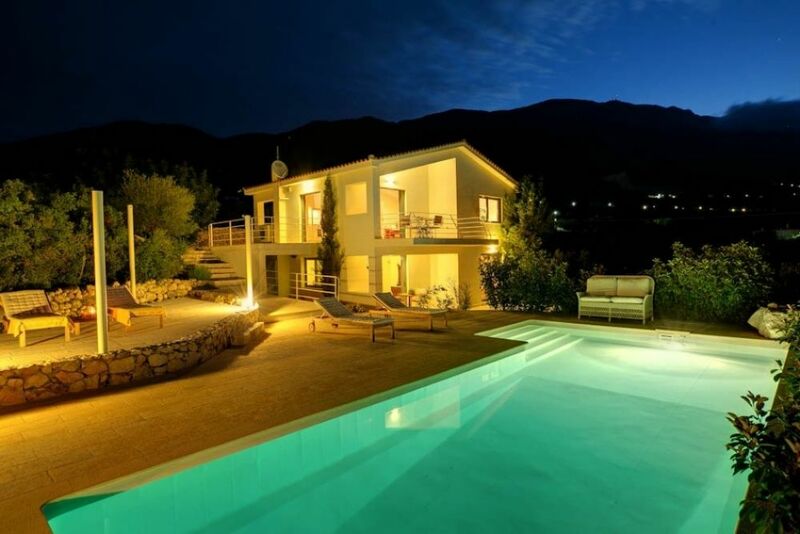 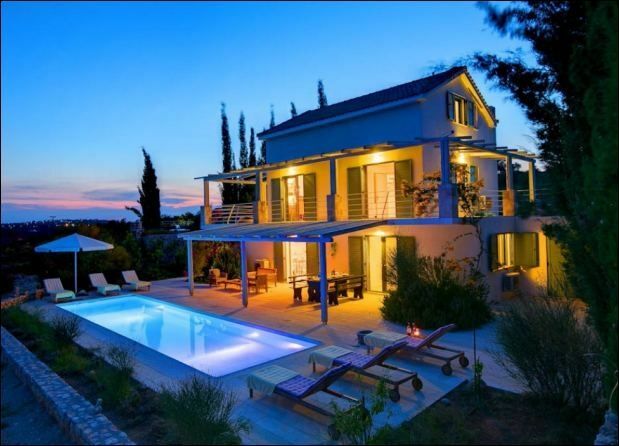 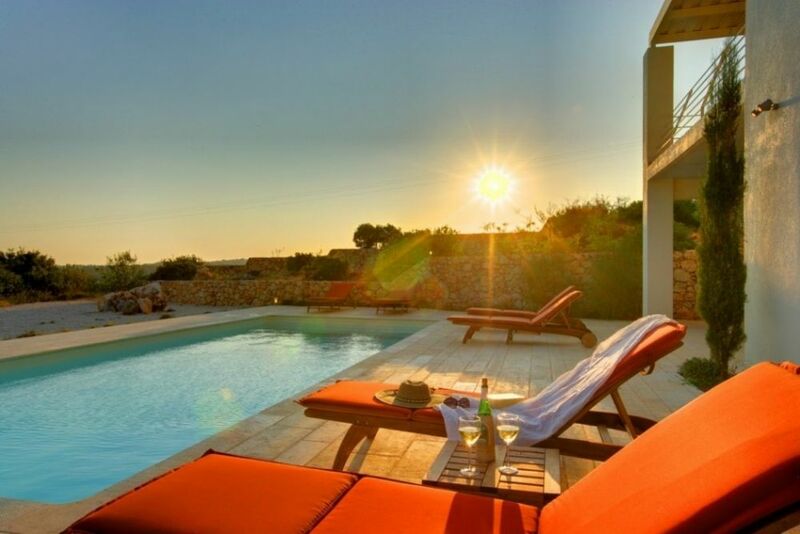 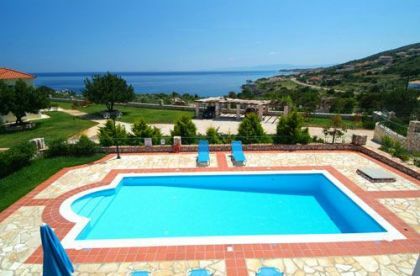 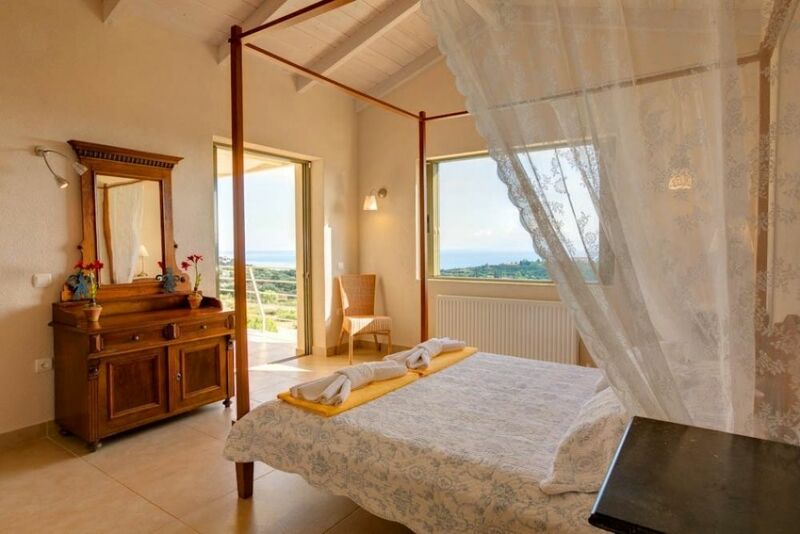 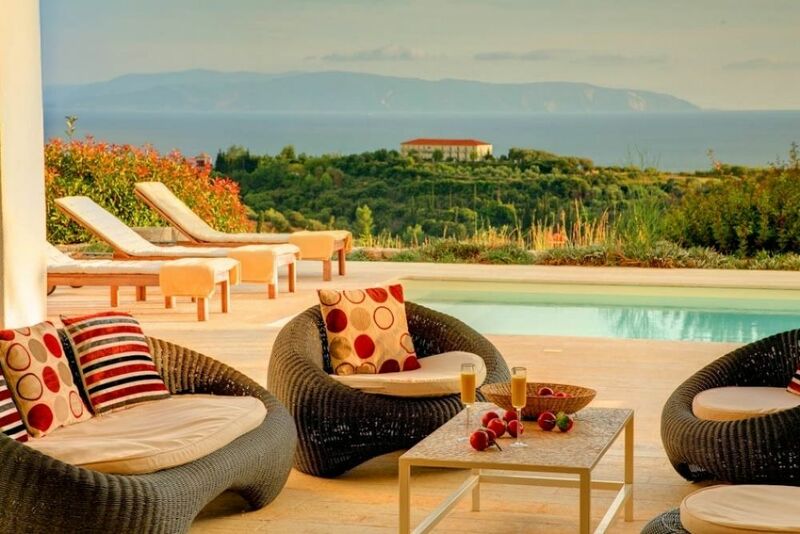 The villas located in Kefalonia only 12 km from the Capital. 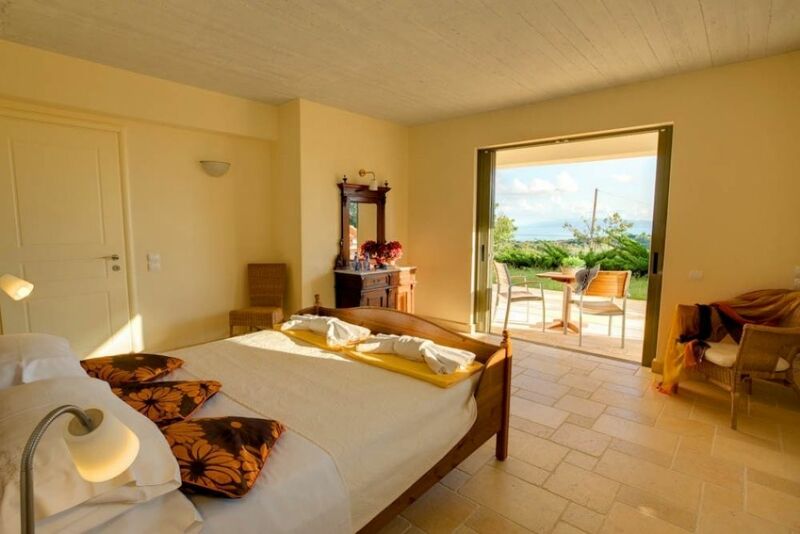 At a close distance there are beautiful sandy beaches with turquoise waters. 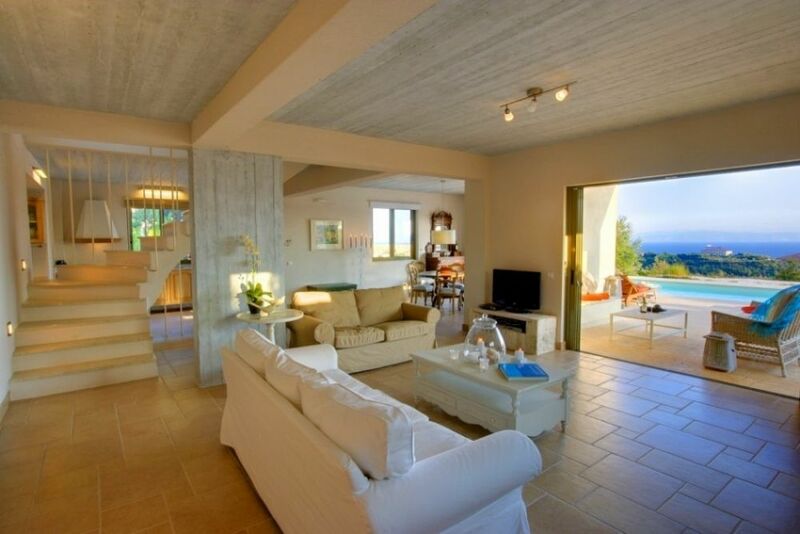 This is a one level villa with a loft. 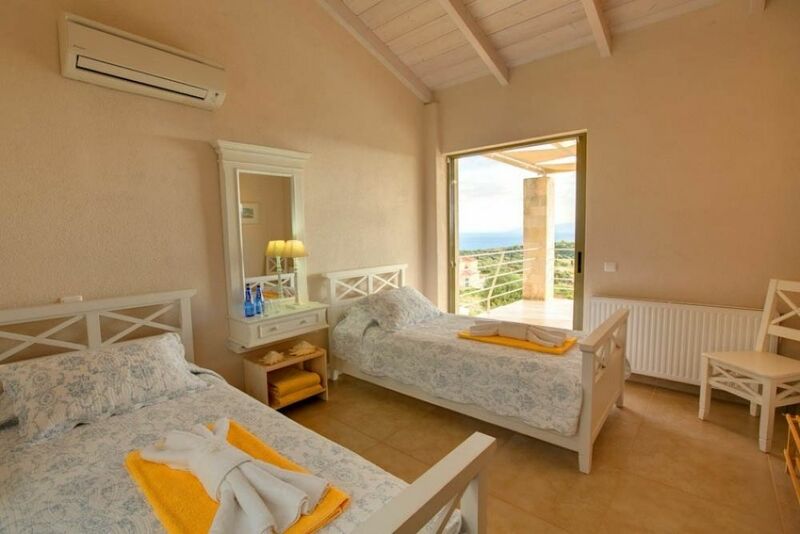 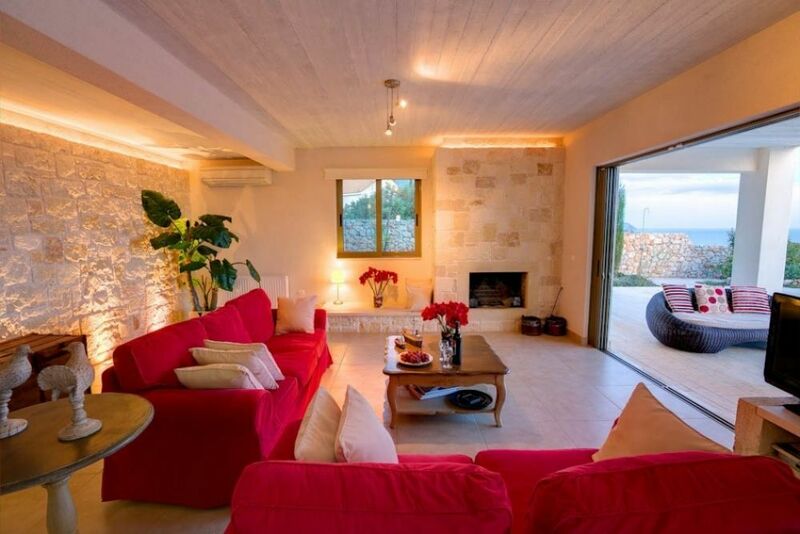 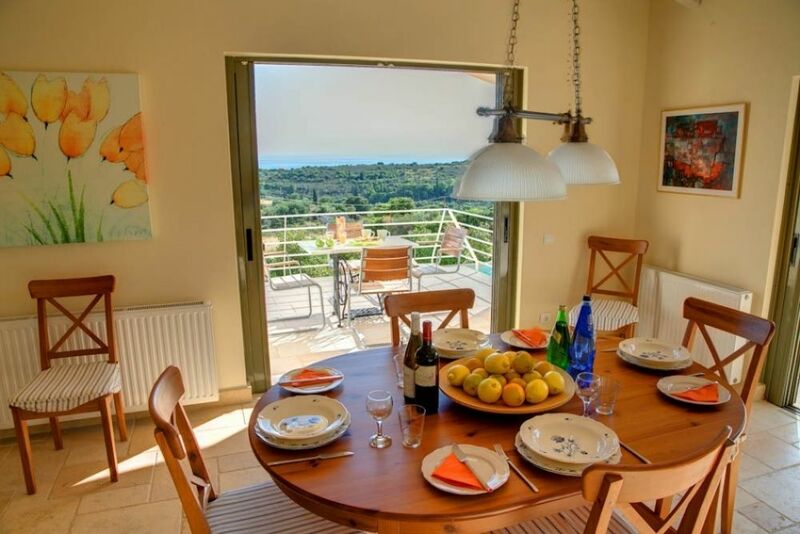 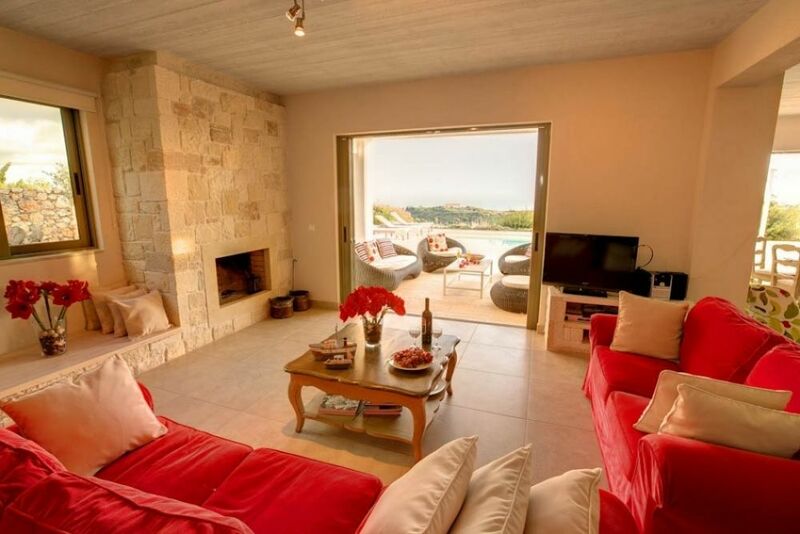 The ground floor of the villa consists of the living room, the kitchen and dining area and one double bedroom with en suite bathroom and built-in wardrobe. 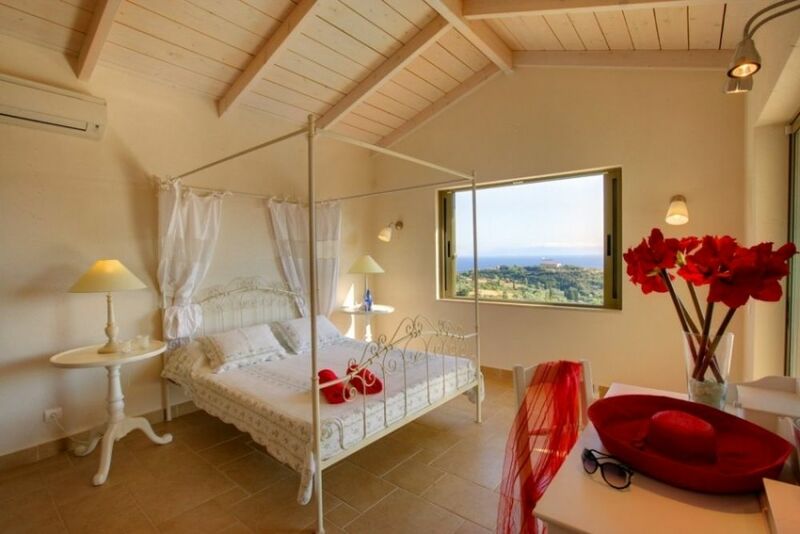 A small staircase leads to the second bedroom on the loft. 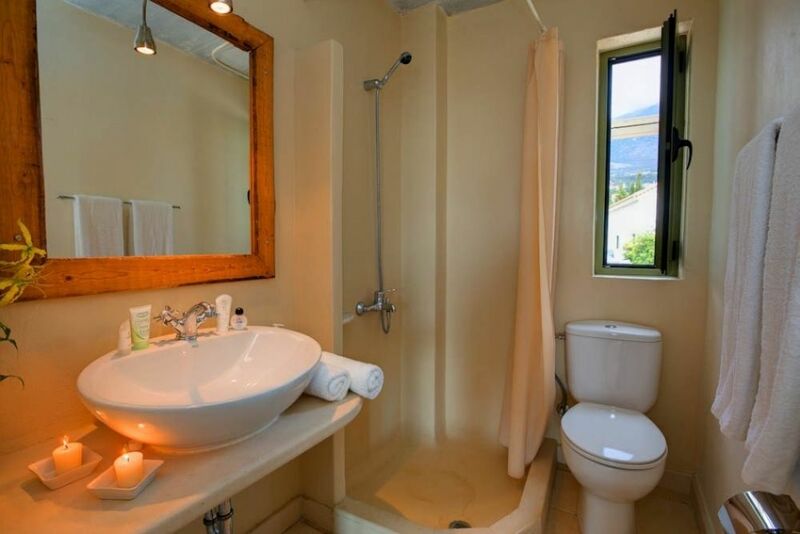 The bedroom has two single beds and en suite bathroom. 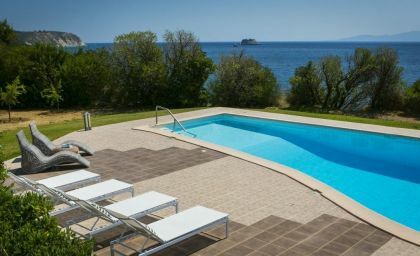 The living room opens out to the pool deck, with stunning sea view and sunbeds in the surrounding area. 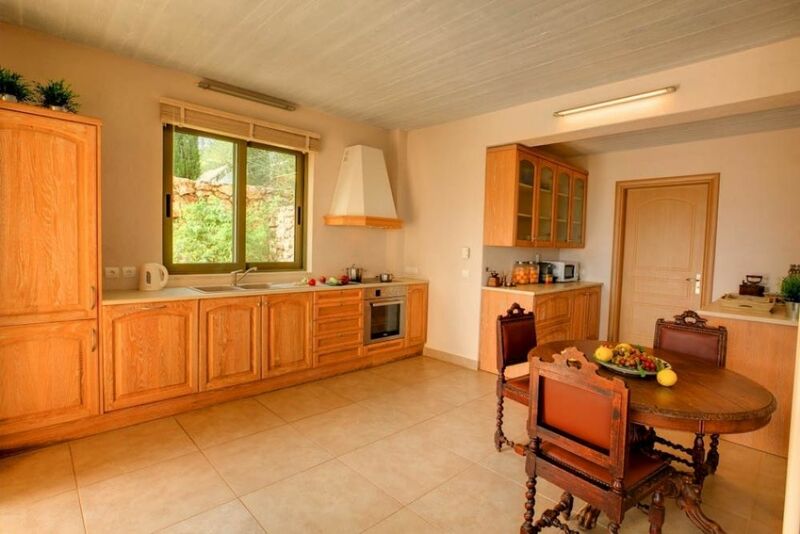 The kitchen communicates with the living-sitting area accessing the pergola-shaded patio with an outdoor dining set.